Look, we’re not going to sit here and lie to you. This thing isn’t amazing. It’s just not. 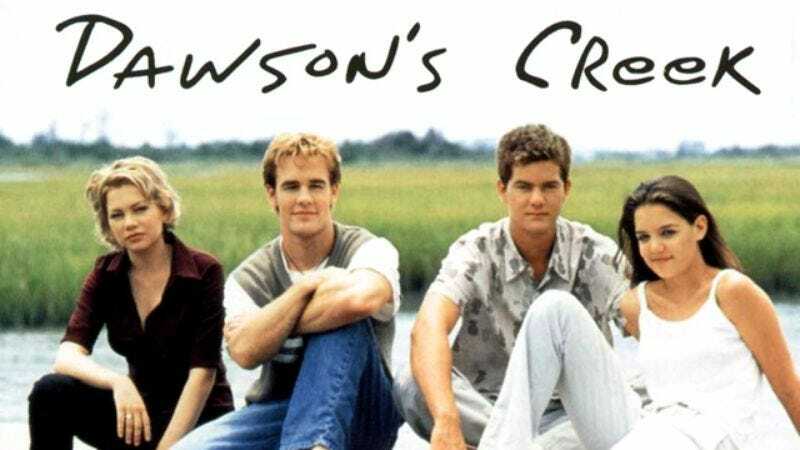 Some Dawson’s Creek fan who really loves the show did their best to throw together a little tribute slideshow, and that’s what we’ve got here. Not the best. But also not the worst. It’s fine. It hits all the marks, you know? It uses the theme song. It covers multiple seasons. It’s not poorly put together. There’s a clip that sort of comes out of nowhere in the middle of it, but you can kind of understand what the fan was going for. Bottom line: This little guy is a perfectly benign labor of love. Nothing more, nothing less. Is it the best thing we’ve seen all day? No. Is it the worst thing we’ve seen all day? Certainly not. Will it totally take you back to your childhood? Maybe, if you were into Dawson’s Creek as a kid and really get a kick out of slideshows. Otherwise, probably not. But, again—that’s okay. Because this fan-made Dawson’s Creek slideshow is passable.